A great way to enhance the look of your property, whether it’s residential or commercial, is to install a wooden floor. What the floor fitters in Brixton SW2 SW9 can do for you is take your personal style and install a floor that meets your expectations. You’re the one in charge from inception, through the first consultation visit until the completion of the project. In the end, you get to marvel at a floor that will stand the test of time. 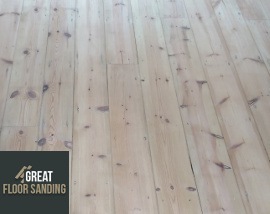 Why Should You Book Us for Wood Floor Installation in Brixton SW2 SW9? Premium Wood: The key to lasting wood flooring is the material used. We work only with the highest grade oak, cherry, ash, maple, pine, and walnut. Property Value Increase: Wooden floors that last attract real estate agents who know great craftsmanship when they see it and lead to increase in your property value. Design Choices: No design is outside our reach. From hardwood and engineered to laminate and parquet, you decide. What Happens During Your Appointment with Our Wood and Parquet Floor Fitters? Once you have selected the material and floor type, a consultation team is sent to inspect your property and when necessary to perform concrete subfloor leveling to ensure the wood floor is going to be level in the end. Depending on the type, your floor can either be floating, where the boards are glued together, nailed down or glued down, where the boards are glued down to the floor beneath. You can also request skirting board and beading installation, sound and damp proofing, and door and door frame trimming from the wood and parquet floor fitters. Professionalism remains the sole principle with which we approach every single project – this is best reflected in the personnel we hire. All wood floor fitters in the employment in London are the very best in what they do, having completed hundreds of floor installations. You get a skilled team who knows how to approach each individual project, using only the best products and equipment to deliver a stellar service. Your floor is going to look perfect. Reaching the office is easy. All you have to do is call us at 020 3404 9697 and a member of our support staff will help you with all questions you may have. We can easily schedule a no-obligation on-site consultation with the experienced Brixton wood floor layers, make changes to existing appointments as long as it’s 24 hours prior to arrival, and hand out information about our service. All lines remain open for the whole week, from Monday to Sunday, with no exceptions.